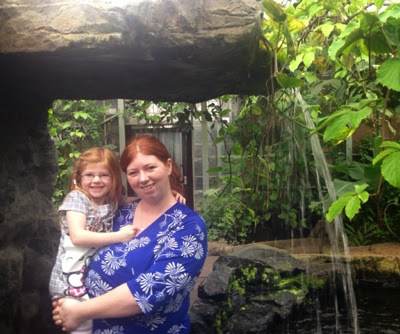 We asked my daughter where she would like to go for her 5th birthday treat last year and she asked to go to butterfly land. 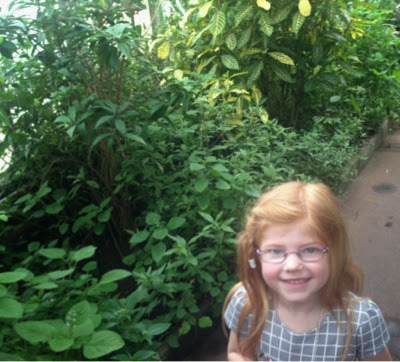 Not sure exactly what she had in mind, but we decided to visit butterfly world in Stockton. 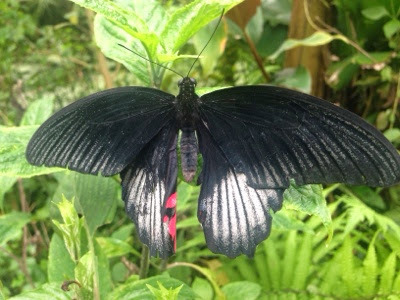 Butterfly world is situated in the larger grounds of Preston Hall, park and museum. Parking was free and plentiful. 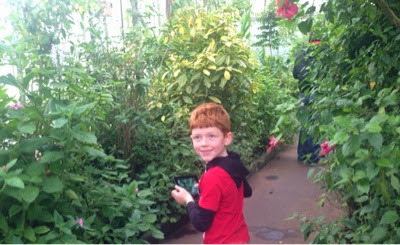 Admission to butterfly world was £13 for a family of 5 and the ladies at admission were very friendly and helpful. 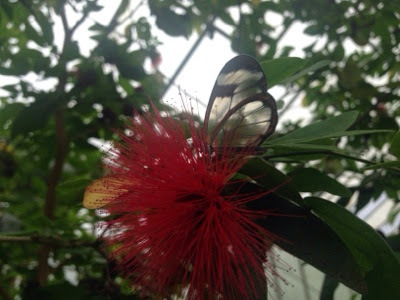 Butterfly world is very humid so leave your coats in the car. It is simply wonderful walking around what feels like a tropical rainforest with lots of butterflies flying around your head. It is amazing how close you can get. There are butterflies flying around your head but also many feeding from flowers and providing many fantastic photo opportunities. 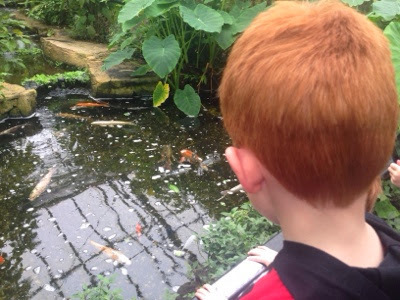 There is a water feature in the centre of butterfly world and at certain times of the year you can feed the fish. 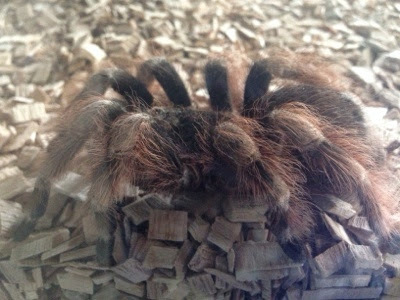 There is a small side room where you can see meerkats, iguanas, snakes and tarantulas! Our kids loved these. 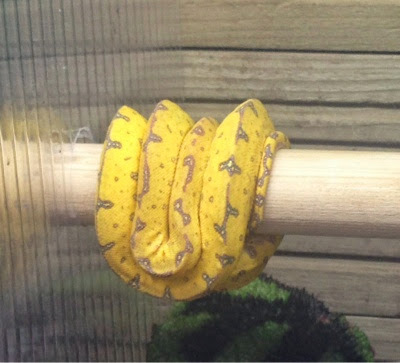 I never knew this was how snakes went to sleep! Back in butterfly world, there is a special cabinet which houses all of the butterfly cocoons to keep them safe. It was fantastic seeing them all lined up. We even watched a few butterflies starting to emerge. We left butterfly world through the gift shop which was very reasonably priced compared to others we have been in (many items under £2) and said a quick hello to the friendly parrot in reception before leaving. 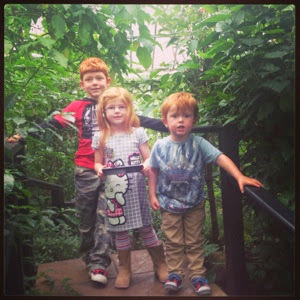 I think we spent about 30-45 minutes in butterfly world but for £13 we found it to be fantastic value as it was such a unique experience. There are seats dotted about so you can take your time to take in your surroundings if you wish. Preston park is a quick 2 minute walk from butterfly world. 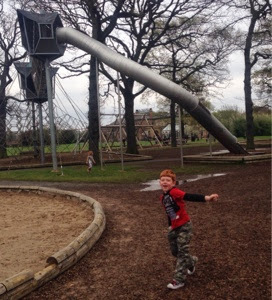 I was very impressed with the park and it is especially good for older children with huge climbing frames, nets and slides. Our 7 year old loved climbing to the top. 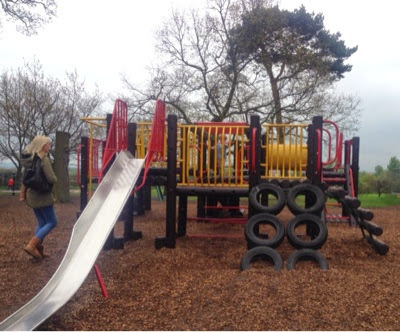 There was also an area with smaller play frames for younger children. I didn't take many photographs but this really is one of the largest parks I have been to in a while. There is a lot to do for all ages and also lots and lots of open green grass to play ball games on. I bet it is very popular in summer! We ordered lunch in the small cafe which overlooks the park. Don't expect gourmet home cooked food here but we were very impressed with the value. Sausage roll, quiche, 3 hot dogs in buns, 5 portions of chips and 5 soft drinks came to £17 which was a very good price. 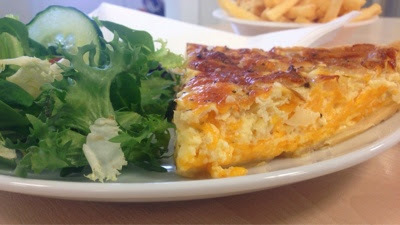 The quiche was probably the star of the show. The cafe serves ice cream too which was popular despite the cold weather. There is also plenty of space outside to take a picnic if you wish. Preston hall and museum is set back from the park. We have visited before but sadly didn't have time today. Admission is extremely reasonable at only £5 for a family ticket that is valid for a whole year. There are lots of little places to explore but the highlight is definitely the Victorian street - it is kind of like a mini Beamish. 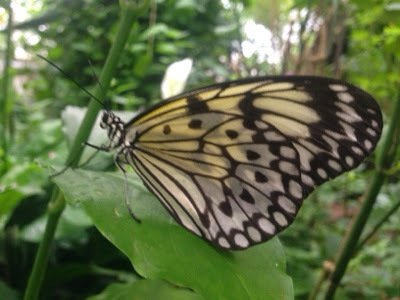 We had a lovely day at Preston Park and butterfly world and would recommend it for a place to spend a full day or half day. There is a lot going on so it is definitely worth the trip. Love it, I adore butterflies, I think it might be tricky to get to if you don't drive though. If I can find a way I feel a day out is calling! 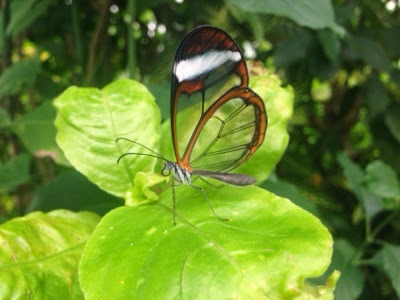 I love these butterfly photos. The trip sounds like lots of fun too. It was fab - definitely recommended.